Rescuers have found the bodies of three crew members of the US military cargo plane, which crashed at the Kazakhstan-Kyrgyzstan border shortly after taking off from the American Air Force base at Manas. Earlier there were slim hopes that the pilots could have ejected before the aircraft hit the ground, but those were meager at best since witnesses reported seeing no parachute during the crash. 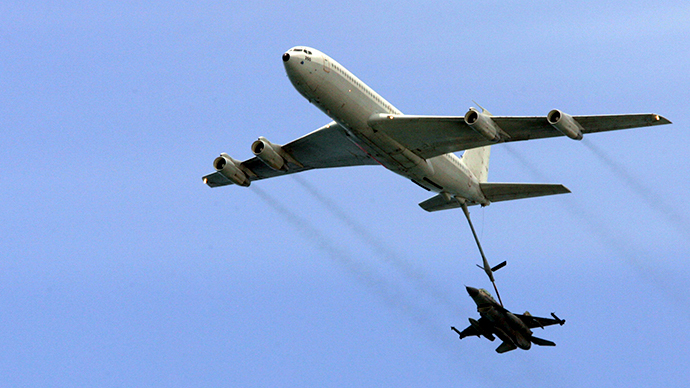 The KC-135 refueling tanker lost contact with the US Transit Center, deployed at Manas International Airport outside Bishkek at 2:30pm local time (08:30 GMT) between Chorgolu and Cholok-Aryk - two villages in the Chuysky region of Kyrgyzstan. Russia's Interfax news agency, quoting local media, reports that a wing from the plane landed on or near a residential house. The airplane reportedly caught fire as it hit the ground. According to the Emergency Situations Ministry it had broken into three pieces when it crashed into an uninhabited area. The Kyrgyz Interior Ministry launched a criminal investigation on Saturday into the deadly crash. The move goes against an earlier intention voiced by Bishkek to probe the incident in the framework of an ad hoc parliamentary commission. One of the preliminary theories as to the cause of the crash is weather conditions, as there was storm in the region. Kyrgyz Prime Minister Jantoro Satybaldyev held an emergency meeting in connection with the crash, according to media. The Manas base is being used as a key transit center for US and allied troops since the beginning of the Afghan War in 2001. In 2009, the base was turned into a transit hub for the delivery of non-military cargo for the international coalition occupying Afghanistan. That followed a string of conflicts, prompting a significant increase in the cost of renting the base. 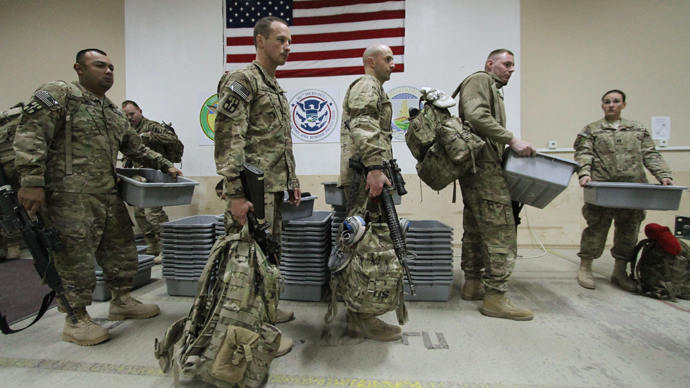 In late 2010, then-US Secretary of State Hillary Clinton stated that her country would not consider shutting down its Manas transit center until troops were pulled out of Afghanistan in 2014.